Nice universal player for iOS called GPlayer is free today. Works for both iPhone and iPad. The last price was $2.99. You can download it in AppStore here. 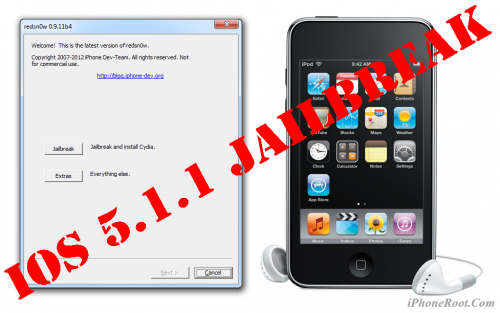 This is step-by-step instructions on how to perform jailbreak and unlock of your iPhone 3GS on iOS 5.1.1 firmware using RedSn0w 0.9.11 for Windows. If you have iPhone 3GS with an old bootrom version 359.3, the jailbreak is untethered. If your device has bootrom version 359.3.2 and higher, jailbreak will be tethered. You can detect your bootrom version using this tutorial. Tethered jailbreak means that each time you restart your device you will need to connect it to a computer and run redsn0w. 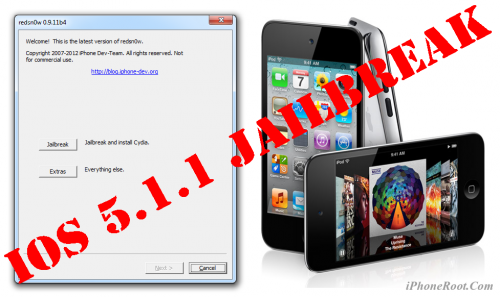 This is step-by-step instructions on how to perform tethered jailbreak of your iPod Touch 4G on iOS 5.1.1 firmware using RedSn0w 0.9.11 for Windows. This is step-by-step instructions on how to perform tethered jailbreak of your iPod Touch 3G on iOS 5.1.1 firmware using RedSn0w 0.9.11 for Windows. 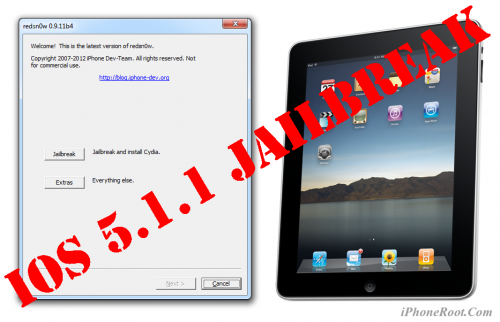 This is step-by-step instructions on how to perform tethered jailbreak of your iPad 1 on iOS 5.1.1 firmware using RedSn0w 0.9.11 for Windows. 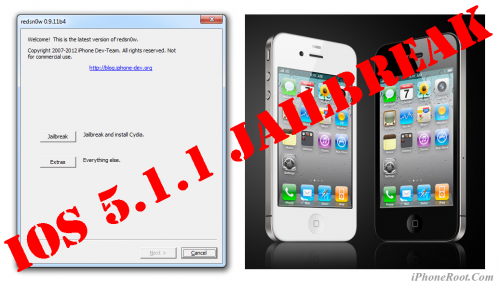 This is step-by-step instructions on how to perform tethered jailbreak of your iPhone 4 on iOS 5.1.1 firmware using RedSn0w 0.9.11 for Windows. 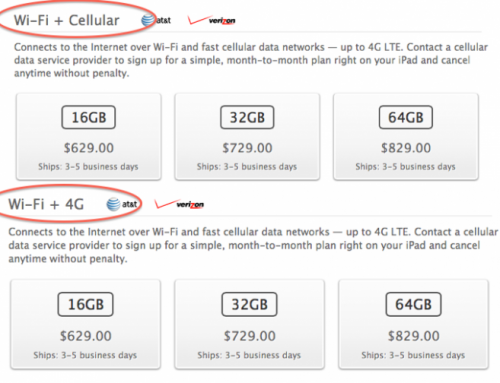 Apple changes name of "iPad WiFi + 4G" to "iPad WiFi + Cellular"
Following a string of complaints across the globe (especially in Australia and the United Kingdom) regarding Apple’s branding of the 4G-LTE compatible iPads, Apple has tweaked the name of their cellular-connecting iPad in some regions. 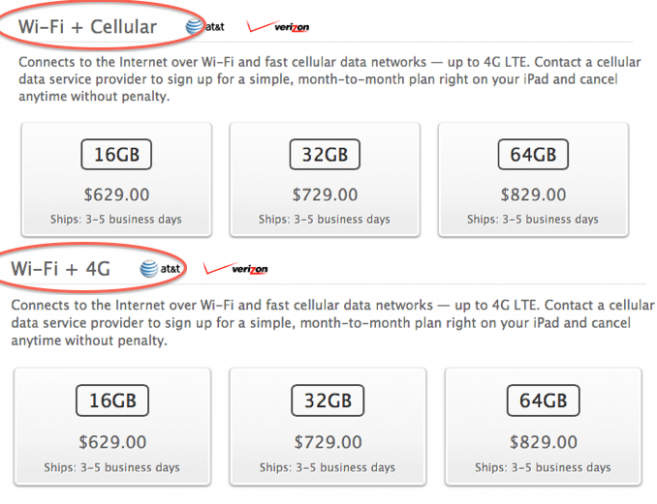 The new name is simply “iPad WiFi + Cellular” and this is a shift from the former “iPad WiFi + 4G” branding. 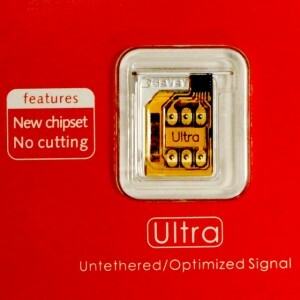 The source of the criticism of the 4G third-generation iPad models is the fact that the 4G LTE only functions in the U.S. and Canada, on a total of five carriers. Apple did not simply make this iPad name change in the affected Australia and UK regions, but they changed it in the UK, Australia, the U.S., Canada, UAE, Vietnam, Thailand, Singapore, New Zealand, Malaysia, Ireland, and Hong Kong. According to The Wall Street Journal, Apple plans to announce an upgrade to its iCloud service at Worldwide Developers Conference next months. The refreshed service will allow iCloud users to share photos with each other and comment on them. Now, users can only store photos via a Photo Stream feature that is capable to sync photos with other Apple devices, but not to share them. UPDATE: Apple released iOS 5.1.1 and has stopped signing iOS 5.1, so you can NOT restore to 5.1 any more (both original and custom), unless you have saved your SHSH keys for 5.0.1. If you are on 5.1 you can jailbreak with redsn0w. 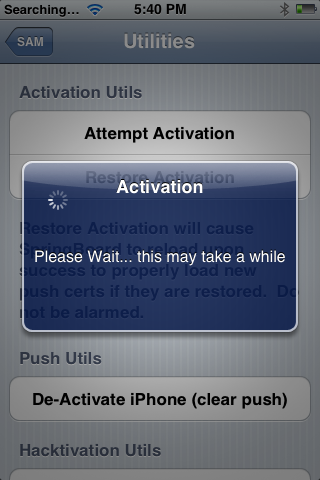 iOS is also tethered jailbreakable with redsn0w. 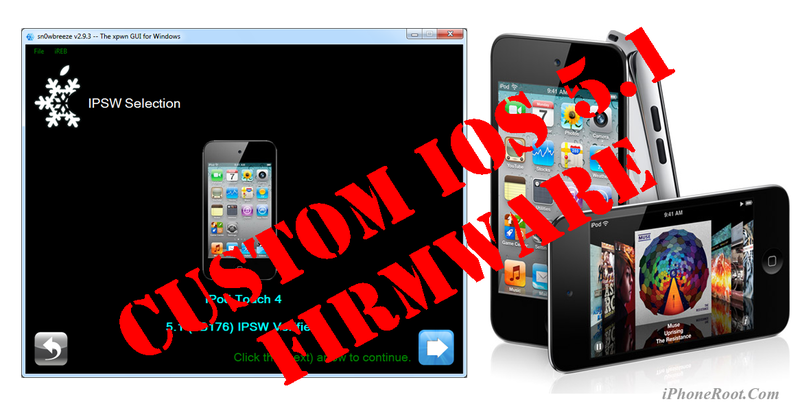 Using this tutorial you will be able to create a custom firmware, tether jailbreak and unlock iOS 5.1 running on iPod Touch 3G. This tutorial uses Sn0wBreeze 2.9.3 for Windows. Tethered jailbreak means that each time you restart your device you will need to connect it to a computer and run iBooty. 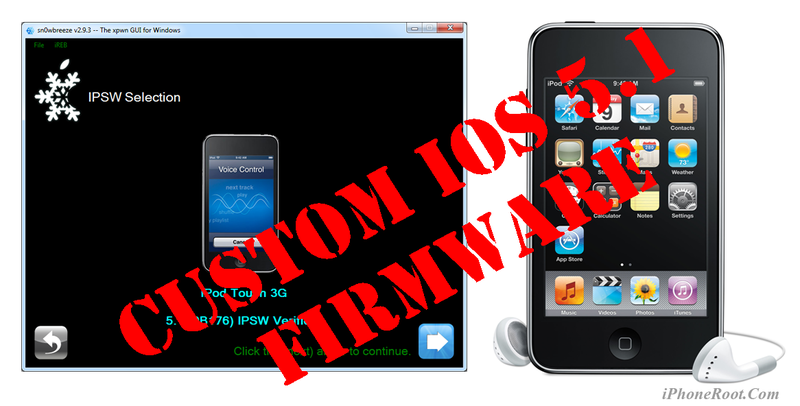 Using this tutorial you will be able to create a custom firmware, tether jailbreak and unlock iOS 5.1 running on iPod Touch 4G. This tutorial uses Sn0wBreeze 2.9.3 for Windows. 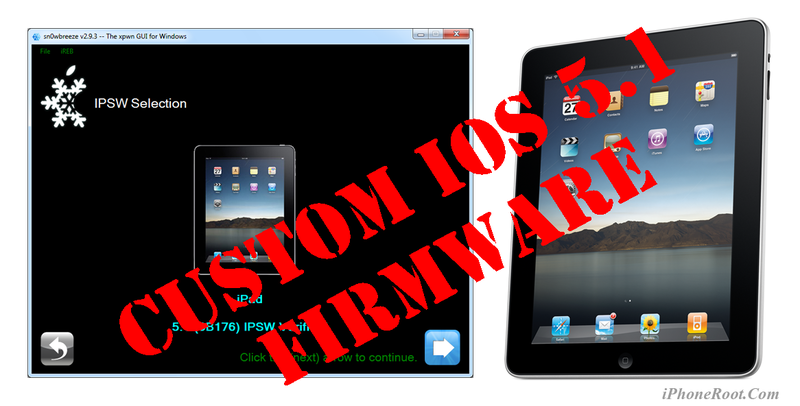 Using this tutorial you will be able to create a custom firmware, tether jailbreak and unlock iOS 5.1 running on iPad 1. This tutorial uses Sn0wBreeze 2.9.3 for Windows. 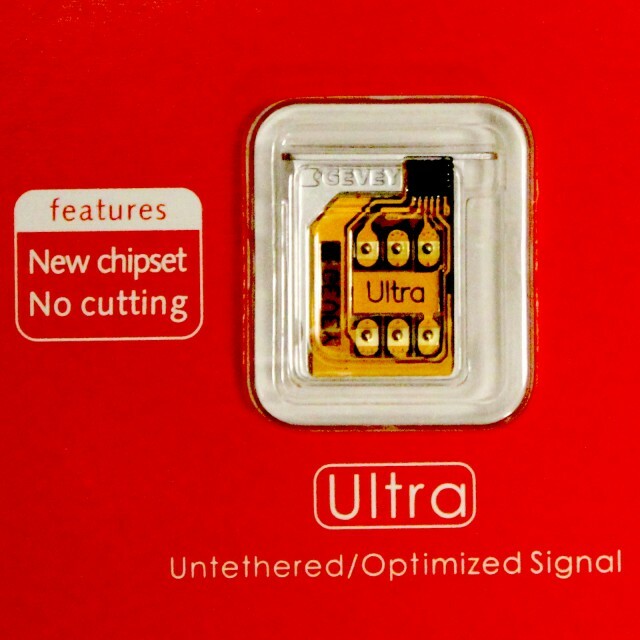 The GEVEY Ultra 5.1 for the GSM iPhone 4 has been recalled since it used Loktar Sun's free method (aka SAM unlock) to unlock your device which has been disabled by Apple. Apple N Berry is offering a full refund to customers who purchased the device. You can read their official statement here. Apple is Blocking the SAM Unlock, Backup Your Unlock Tickets! Apple is currently in the process of blocking the SAM unlock, reports MuscleNerd. If you need to unlock a SIM or backup your unlock ticket do it now! Looks like Apple's currently fixing their activation servers. But the good news is that previous tickets gotten via SAM trick still work. Those who managed to unlock using SAM should save the unlock tickets. To do it just use iFile or iFunbox and save /var/root/Library/Lockdown, or use latest Redsn0w (Extras -> Even more -> backup). 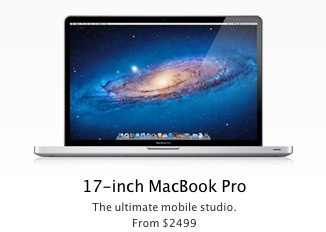 Ming-Chi Kuo, research analyst from KGI Securities, has issued a new report saying that Apple may discontinue the 17-inch MacBook Pro due to weak sales. Also he expects that Apple will introduce new MacBook models that will combine power of the MacBook Pro and portability of MacBook Air models and dropping of 17-inch model will be part of this revamp. Sources indicate that Apple is planning to add new hardware solution to its Apple Store Genius Bar that would allow its employees to quickly back up data on the devices requiring replacement and pull back that data on the replacement devices. Users are always advised to back up data before bringing them for replacement to a Genius Bar, and those who fail to do it can lose valuable data.